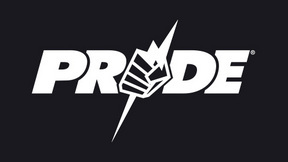 PRIDE 8 was an event for the history books as the card was littered with top talent like Mark Coleman, Frank Trigg, Igor Vovchanchyn, Wanderlei Silva, and Renzo Gracie. 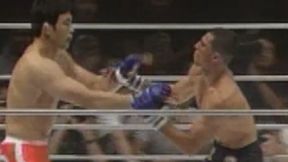 And in a very memorable melee, Kazushi Sakuraba tangled with Royler Gracie. Kazushi Sakuraba vs. Royler Gracie PRIDE 8 Sun, Nov 21, 1999 (33:44) Without giving away the ending, this bout was a watershed moment in MMA history. 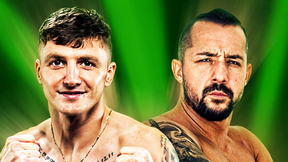 In one corner, catch-wrestler Kazushi Sakuraba, who was on a six fight unbeaten tear in PRIDE, faced revered BJJ blackbelt Royler Gracie, who was an undefeated 3-0 in MMA. Renzo Gracie vs. Alexander Otsuka PRIDE 8 Sun, Nov 21, 1999 (25:45) Securing his first PRIDE victory with a guillotine choke, undefeated BJJ blackbelt Renzo Gracie was making his 3rd promotion appearance with his sights set on Japanese professional wrestler Alexander Otsuka who just earned his first pro MMA win via TKO. Igor Vovchanchyn vs. Francisco Bueno PRIDE 8 Sun, Nov 21, 1999 (6:14) Following his odd no contest in his previous PRIDE performance, Ukraine’s unstoppable KO kickboxer Igor “Ice Cold” Vovchanchyn had his sights set on win #38 as he faced BJJ ace & judo blackbelt Francisco “Chico” Bueno and his 2-0 pro record. 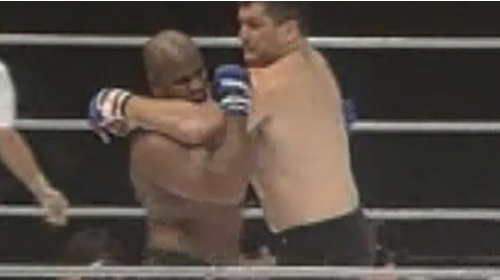 Tom Erikson vs. Gary Goodridge PRIDE 8 Sun, Nov 21, 1999 (24:58) Making his PRIDE debut, former 2x NCAA Division I All-American wrestler Tom “The Big Cat” Erikson owned an impressive 7-0-1 MMA record with alls by stoppage and readied to fight fellow finisher “Big Daddy” Gary Goodridge with his 9-8 MMA record. 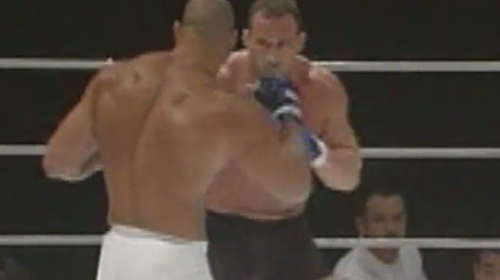 Mark Coleman vs. Ricardo Morais PRIDE 8 Sun, Nov 21, 1999 (25:48) Former UFC heavyweight champ Mark “The Hammer” Coleman seriously needed a win to end his four fight losing skid. 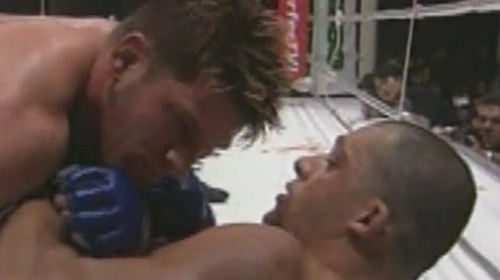 The ground-and-pounder took to the PRIDE ring to face a literal giant in the 6’8” Ricardo “The Mutant” Morais, who owned a record of 8-1-1 in MMA. Allan Goes vs. Carl Malenko PRIDE 8 Sun, Nov 21, 1999 (12:05) Making his second PRIDE appearance following his debut draw, highly-regarded Carlson Gracie BJJ blackbelt Allan Goes was 3-1-2 in MMA and about to take on professional wrestler Carl Malenko who had split the difference in his two PRIDE appearances. 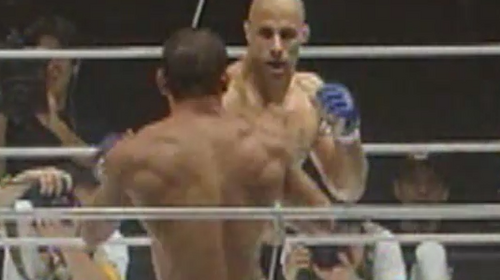 Frank Trigg vs. Fabiano Iha PRIDE 8 Sun, Nov 21, 1999 (8:06) Who would win in this ground grappling match-up? Former NCAA Division I wrestler Frank Trigg who was undefeated in MMA with all wins by finish faced BJJ blackbelt Fabiano “King of Armbar” Iha who was a 3-1 pro with all his wins, also, by finish. Wanderlei Silva vs. Daijiro Matsui PRIDE 8 Sun, Nov 21, 1999 (27:00) After making a successful PRIDE debut, Brazilian Muay Thai powerhouse Wanderlei “The Axe-Murderer” Silva had won four straight including three KO/TKOs and readied to rumble with Takada Dojo’s catch wrestler Daijiro “The Japanese Tank” Matsui.